Looker is holding its Join user conference this week, and these affairs often involve a new release to show off to customers. 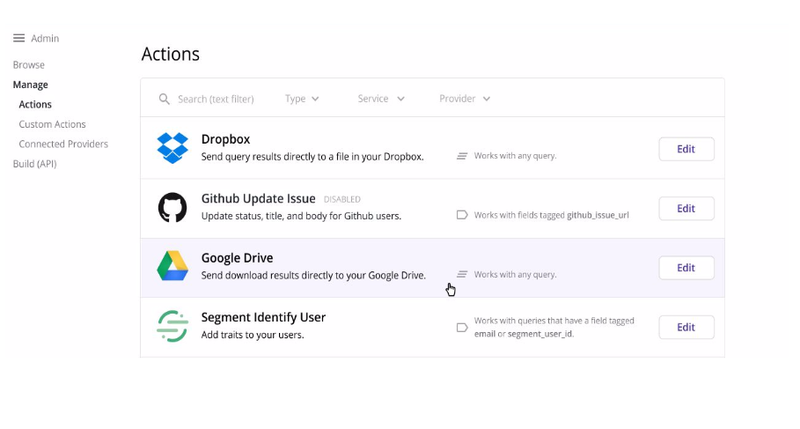 Today, the company released Looker 5, which they say will make it easier for employees to make use of data in their work lives. Company CEO Frank Bien believes there is a growing group of people, who need quick access to data to do their jobs. “At a high level, there is a new class of worker in organizations, people who aren’t just looking at an end of month of report and silly vanity dashboards. They are people who work in data every day, instrumented workers — growth hackers, marketing, Dev/Ops, sales operations — who use data to drive every decision they are making,” he explained. He admits that we have been hearing about this data-driven worker for years, and a slew of companies and products have come down the pike that were supposed to solve this problem. While we know the HiPPO approach (highest paid person’s opinion) hasn’t worked, it’s been a slog trying to get data in front of the right workers to propel more data-driven decision making inside organizations. With Looker 5, the company is hoping to make that easier. As companies collect increasing amounts of information, putting it to work becomes an increasing challenge — one we’ve seen Alteryx and Dataiku among others trying to solve. But each company brings their own unique approach to the table. Looker appears to be trying to empower workers to make it simpler to work with the data. The company began offering tools for faster data integration in Looker 4 with Data Actions, which were like an IFTTT recipe for pulling data from various data sources and making use of APIs to put the data to work in various parts of company. The newest version takes this a step further with an Action Hub, which they have populated with pre-built integrations and actions for popular access points like AWS servers, Dropbox, Google Drive and Twilio. They also are adding what they call Data Blocks, which are common sets of data used in building data applications like weather, maps and economic indicators. Finally they are building some common applications for customers. When these are available next year, they will include marketing, IT/operations and event analytics packages. “We are really starting to see a new class of data-driven applications with systems that work how these instrumented workers work,” Bien said. At least, that’s the goal. Looker was founded in 2011. Today it has over 1000 customers, 325 employees and has raised over $177 million. Its most recent funding round was $81.5 million last spring.